Courtesy of Bombas‘If you over-prepare, you’re going to do fine.’ Randy Goldberg (left) and David Heath pictured. 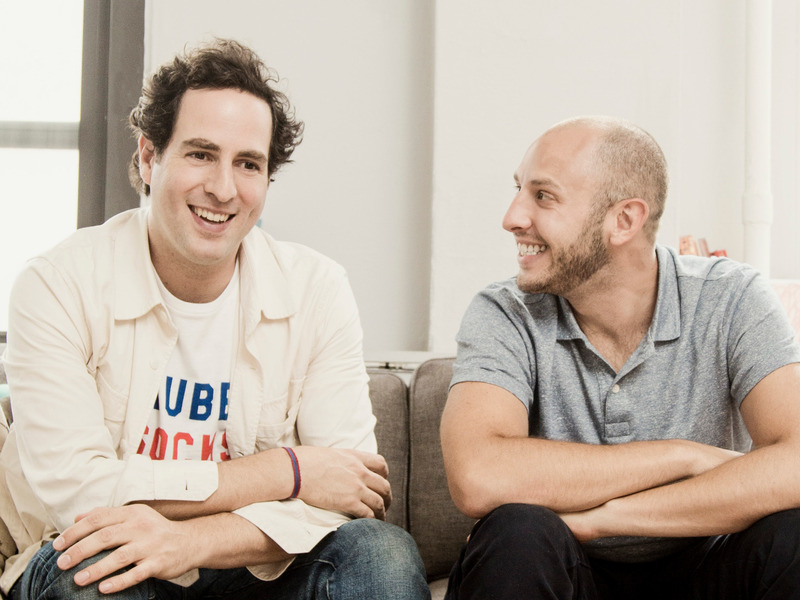 The founders of sock company Bombas appeared on “Shark Tank” in 2014. They landed a deal with Daymond John and, in 2017, Bombas brought in nearly $US50 million in revenue. To prepare, the founders rehearsed their answers to all potential questions – and follow-up questions – that the Sharks might ask. So said Randy Goldberg, cofounder of sock company Bombas. In 2014, Goldberg and his cofounder, David Heath, appeared on “Shark Tank,” ultimately landing a deal with Daymond John: $US200,000 in exchange for 17.5% of their company, plus the financing of the inventory. Goldberg and Heath told Business Insider that they prepared for their appearance by compiling a spreadsheet with close to 300 questions that the Sharks had asked entrepreneurs on previous episodes. Over and over again, Goldberg and Heath rehearsed their answers to these questions. But they didn’t stop there – they also figured out which follow-up questions the Sharks might ask, and simulated how those conversations would play out. To ensure that their time in the tank went smoothly, the founders also broke down exactly which types of questions each person would answer. All that preparation helped them stay calm when Kevin O’Leary (a.k.a. “Mr. Wonderful”) called them “sock cockroaches,” when Lori Greiner said she didn’t like that they planned to use their investment money to hire more people, and when Mark Cuban said their sales shouldn’t be plateauing. Today, Bombas is one of the biggest “Shark Tank” successes: Heath told Business Insider’s Richard Feloni that the company had been profitable since 2016 and brought in “just under $US50 million” in revenue in 2017. John told Feloni that Bombas was his best investment, largely because the company’s social mission – donating socks to homeless shelters – is also good for business. Bombas might not have landed the deal with John in the first place if they hadn’t been so well-rehearsed.